What is Bag Organizer? I hereby introducing the Bag Organizer to save all of you from disorganization. 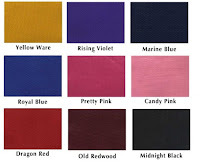 A Bag Organizer or some call it " Purse Organizer" is a pouch, or a separate bag that has several pockets to group and organize different kinds of items found inside a woman's handbag. 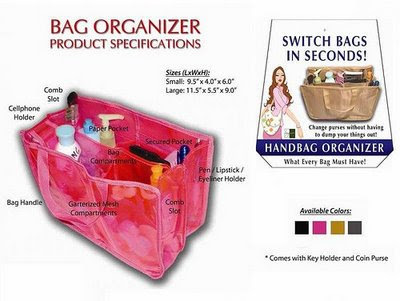 Bag Organizer is used to assist women in finding objects and keeping everything in sight. 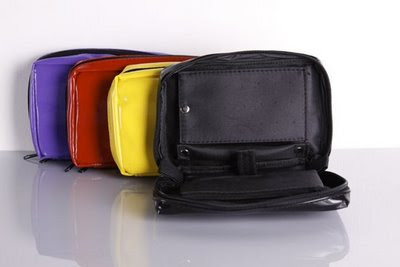 The Bag Organizer carries and stores all bag essentials, making it easy to switch bags without dumping your things out. This amazing Bag Organizer not only organizes your bag essentials but it also protects the interior of your handbag from stain, dirt and scratches. A perfect solution to preserve the interior of your precious handbag! 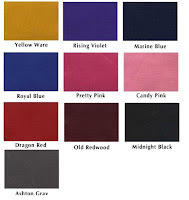 Stylish Bags and Organizers for the Woman of New Generation! 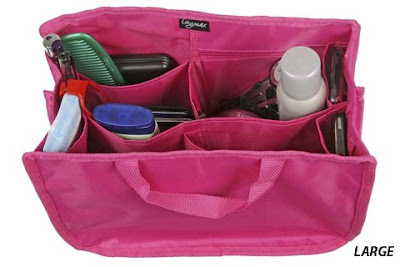 LxWxH : 11.5" x 5.5" x 9.0"
Lugmax Bag Organizer is designed to organize essential items and keeps everything in sight. 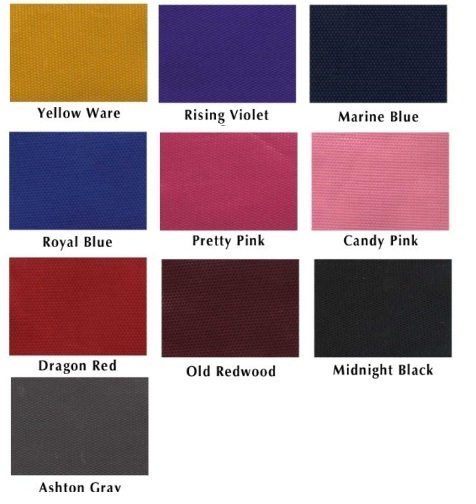 Each pocket is carefully designed to provide superior functionality. The pockets are strategically positioned inside the bag to keep all essentials in sight and easily accessible. The sturdy sidings give shape to the bag and allow you to pull out the organizerfrom the bag easily using its heavy duty flexible handles.Lugmax Bag Organizer also has two key rings with a special coin purse and a useful mesh pouch. 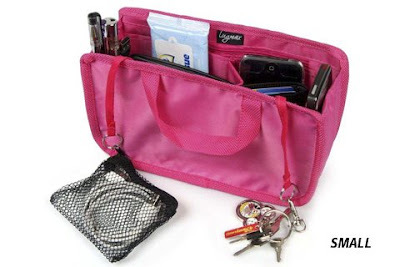 With a Lugmax Bag Organizer, we do not just give you pockets, it organizes by your needs! 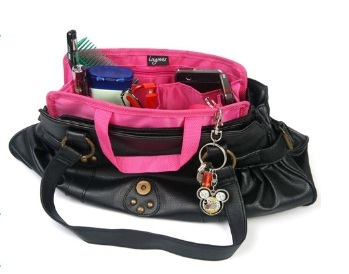 Lugmax Wrap-around Handbag Organizer is designed to hold and arrange handbag essentials such as keys, glasses, receipts, makeup, cellphone, and more. 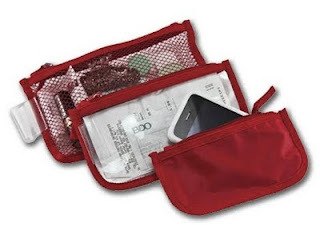 It's horizontal dimension design let's you organize your essentials as if you are using a wider length wallet. The bag organizer keeps everything in plain sight and right at your fingertips.It fits any handbag and provides room in the middle for larger items, perfect for your perfume and wallet. 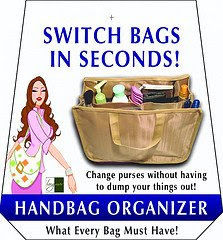 With this bag organizer, you can change purses in seconds without having to dump your things out! Handbag Hanger is designed to hold and store your handbags the perfect way. It's vertical dimension let's you hang and organize your handbags preventing it from deformation. The bag hanger not just saves storage space, but it also let's you organize with style. Just snap your bags and hang it anywhere! 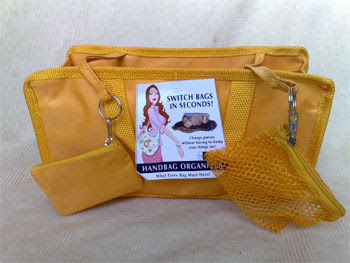 Small Fabric Pouch - 6.25" x 3"
Medium Clear Pouch - 7.5" x 4"
Large Mesh Pouch - 8.5" x 5"
dear is yr bag hanger still available? 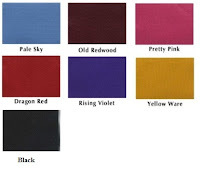 i want to buy large classic organizer. is it still available? Hi Mar, yes, is available. 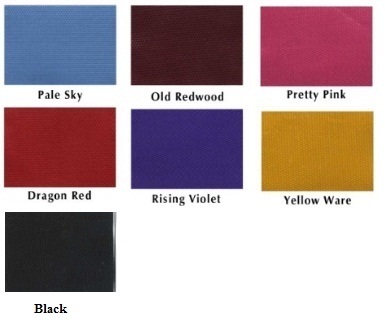 What color u want? hi.. is the bag organizer still available? is ur hangbag hanger still available? ?